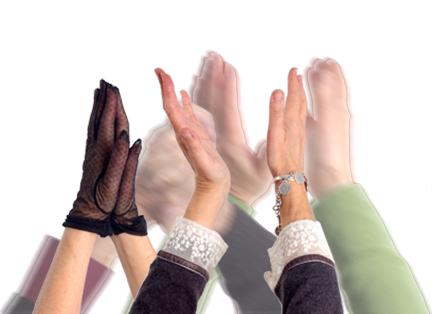 Radventures – RadVentures is a Radcliffe residents’ Arts Group. Let us know what you think of it….. The ‘buttons’ at the top of the page will help you to find all the information you need: events coming up and ticket information, previous events, special projects, how to contact us, and the history of RadVentures. RadVentures events are special. 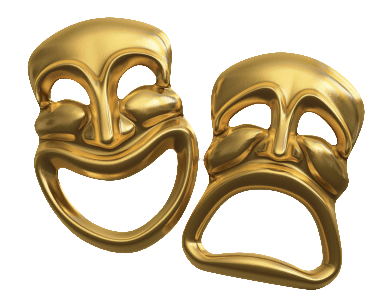 We host some of the best professional theatre companies, musicians and entertainers. This is made possible through our membership of the Live & Local rural and community touring scheme, formerly Village Ventures. Events usually take place at either Grange Hall or St. Mary’s Hall on Main Road, Radcliffe on Trent. Some are theatre-style, others are cabaret style with bistro tables and lights, when audiences bring their own ‘drinks and nibbles’. 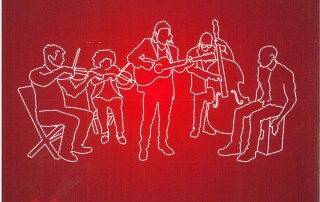 Wes Finch & The Rude Mechanicals Band combine their passion for poetry and love of music in a unique style. Invigorating acoustic guitar and vocals are accompanied by double bass, violin, viola, percussion and drums. Wes wrote songs for a Royal Shakespeare Company competition. These were picked up by the BBC and the band played at the RSC’s Other Place Theatre in Stratford as part of BBC Radio 3’s ‘400 years of Shakespeare’ celebrations. 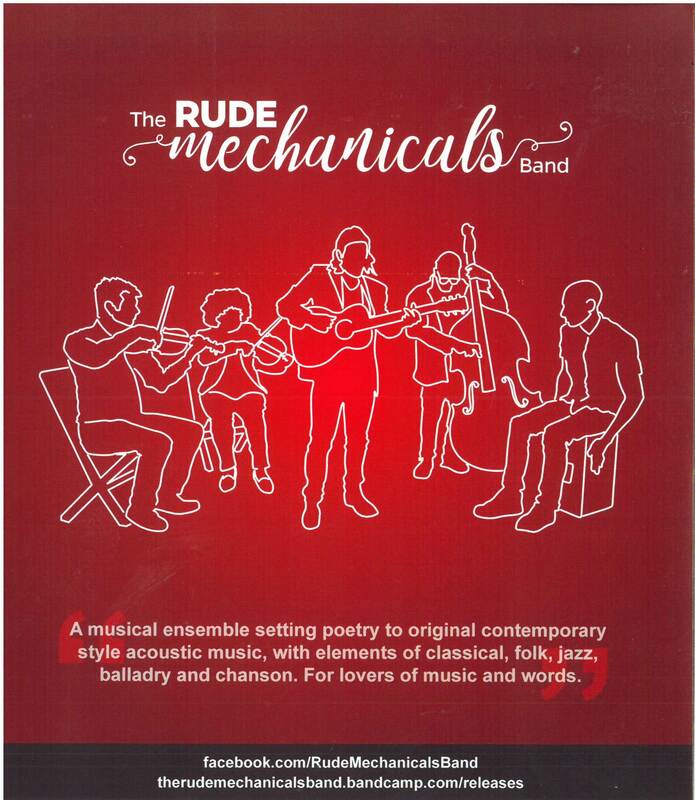 The Rude Mechanicals have been described as ‘a blast of originality’ and have shared stages with Billy Bragg, Martin Carthy, Richard Thompson and many others at venues small and large, folk clubs and festivals across the U.K. and beyond. Radcliffe is in for a real musical treat. RadVentures is a Radcliffe residents’ Arts Group. It was set up in memory of Malcolm Thompson, a popular, energetic and valued member of the Radcliffe community, performing arts enthusiast and friend to many. Radventures community arts support create regular displays in Grange Hall reception..